Friday afternoon I had the pleasure of taping an episode of the E-hour with Steve Stunt. 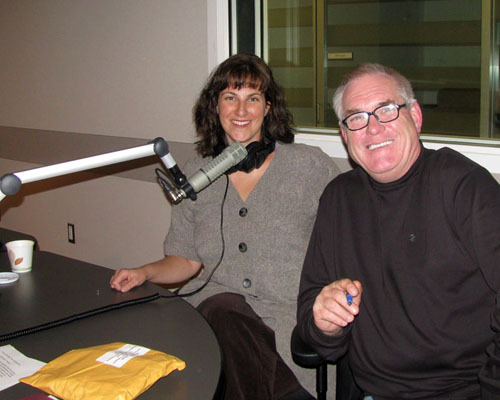 (air date to follow, I think this Sunday the 29th) With me was fellow entrepreneur Paul Moyer of Moyer’s Candy Apples. We chatted about our experiences in business and in the Dragons’ Den. Paul’s family has an apple farm and is now well-known for his candy apples. On my regular trip to the market Saturday, I realized that I was already quite familiar with Paul’s products. In addition to securing a candy apple, I stumbled upon the most elegant form of cauliflower, cauliflower romanesco. It was love at first sight, and dinner Sunday. Yum. 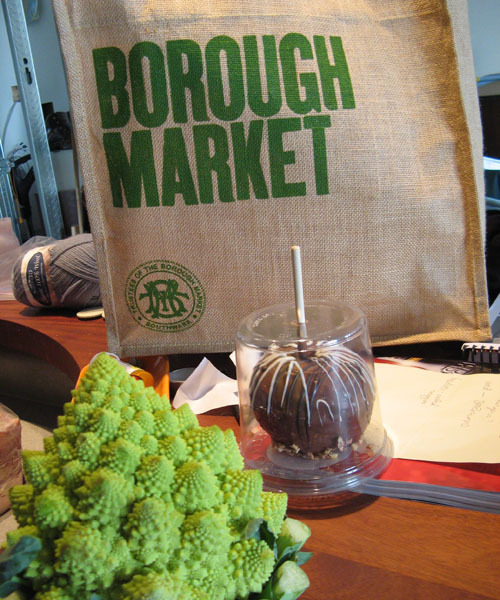 All were carried home in my favorite market bag, from Borough Market, in London England.